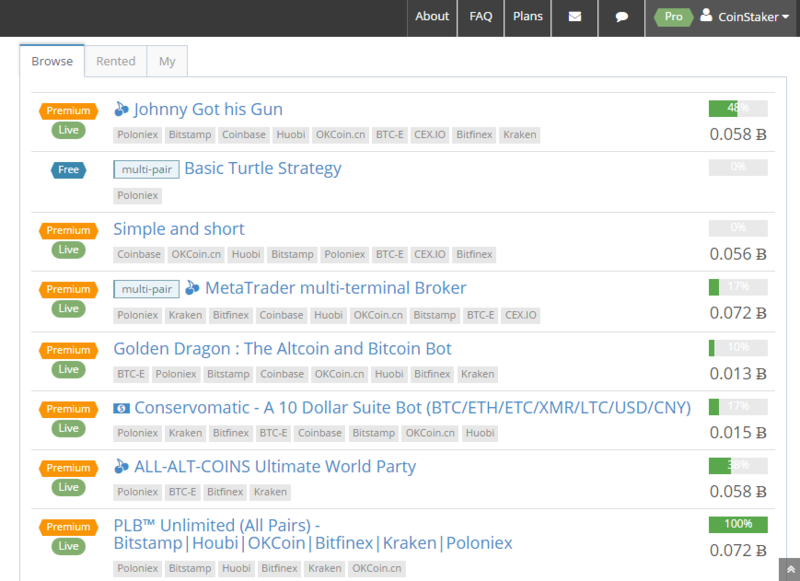 CryptoTrader Review | Making money with automated Trading Bots? Dear visitor, we are currently working on a review about CryptoTrader – automated trading system. If you have already any experiences, feel free to share them in the comment section below. We will try to showcase our testing on a day to day basis. 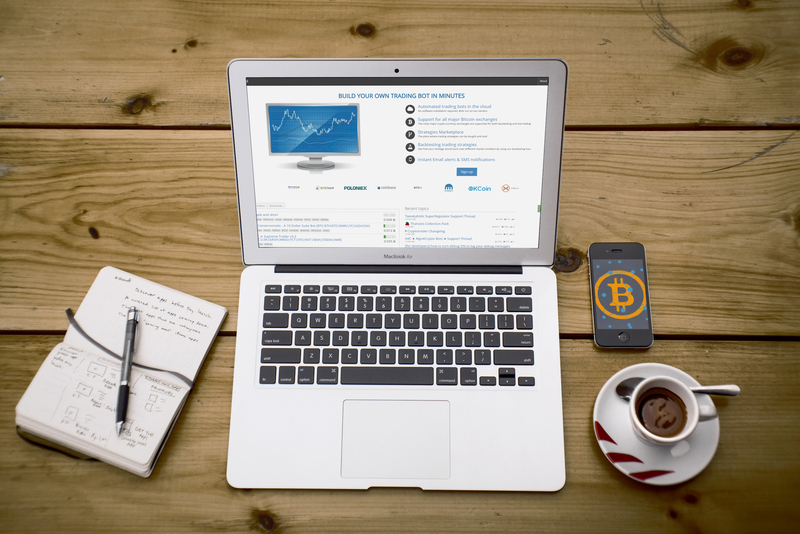 Here our page about Cryptocurrency Trading, it contains general info about trading coins! And now let us start! Creating an account was easy as pie. As a simple free acount, you can’t do much more than read ..
To be able to do and test more, we decided to upgrade our account to PRO, which allows us to use one of the offered strategies. Next step is to choose a strategy. On the right side you can see the cost and a popularity percentage. We decided to rent the Johny Got his Gun strategy because it was somehow popular and not the most expensive one. $40 (strategy) + 0.05 BTC = $80. Let us see if this pays out. We will invest 1 BTC and see, if we can get the needed 10% trading profits, to not have any losses. After this, you can choose if the bot should be only simulating or trading on your real account! We decided to try it out LIVE. 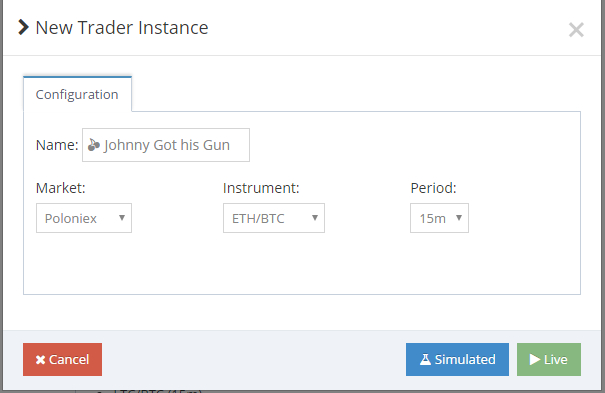 You can now choose the desired Market, Instrument and Period. We choose ETH/BTC on the Poloniex Exchange. Then you need to give the API to your trading account, this info can be found on the trading platform, in our case it was POLONIEX. Pressing RUN, will finish the process and start the Bot. So our (hopefully) money making bot is set up in under 5 minutes! We did this for DASH, XMR, DOGE and FCT. Also started a simulation on ETC/BTC. As you can see, it is not easy to understand. For example, there is a mistake at the REAL DOGE Bot, because we didn’t start with 3575073,57143, but we started with 3645,60714. So it says the BOT lost 99,9%, which is not true. It didn’t even trade once with the cryptocurrency DOGE. But as you can see, the trading algorithm has been only active 2 times. It is on the currency DASH. It has a performance of -6,32%. Which is also, WRONG. Because we didn’t start with 80,62169, but with 0. So he bought at POLONIEX DASH/BTC BUY LIMIT 0.67 at 0.01322. And since the price of DASH is 0.01318827, we don’t know how the -6,32% are calculated. Summary: Day 1 & 2: Not exactly sure why the bot calculates like he does. Will try to keep this page updated daily with any results. So you can choose on yourself if CryptoTrader is worth it or if you just want to follow the trades we show off their bot. Hello guys! It is already day 3 of our experiment ‘CryptoTrader’! We figured out why the percentages of the crypto-bot are that messy. It is because all our Bitcoins are on one platform. This means, that if we for example, lose on an XMR trade, we lose a part of our start capital. This changed start capital is considered in all future trade statistics, which is just misleading. This is why we decided to write each of the automated trades and calculate the profits & losses on our own! You can see our current and all future trading statistics always on the bottom of this post, starting now! We had one small win and lose over DASH and XMR respectively. Also, the bot managed to buy on the FCT blow up! Which is awesome, since hardly any human can react that fast and also see this earnings opportunity! We hope now, that the bot will close the position before all the earnings are eaten up! 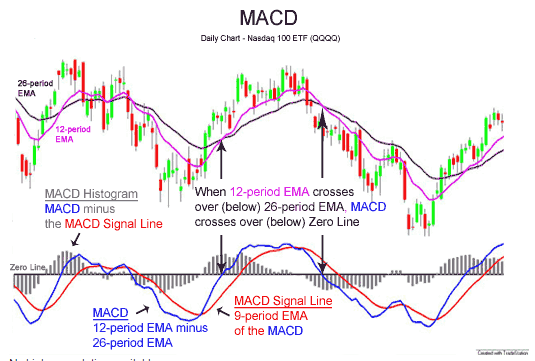 The green marking shows the moment of a buy. The red marking shows when the position is closed. So you can see that there was enough time to react and sell the position. This lead us to opening a new category to this cryptotrader review: lessons learned. And in this case, it is to not 100% trust the bot to make everything better than one alone. This can be seen below our trades, on the bottom of this page! Still, there is something positive to be said about this trade. It could have been a lot worse, as you can see the price now is even lower! Also, there was a filled ETH buy order. So let us hope this will go in our direction! Summary day 4: Started the new paragraph about lessons learned, after the bot didn’t take possible profits. Also, a new ETH position has been opened. Another day, another trade at exactly 00:00 o’clock. We guess that the algorithm is using daily values or averages to do make this call. The CryptoTrader trading bot has closed an ETH position. Sadly, another loss. As we always try to learn from our mistakes, or in this case from the mistakes of the strategy, we came to a new conclusion: If the Bitcoin price is exploding, other cryptocurrencies will probably decline! Why does it come to this phenomenon, that altcoins fall when Bitcoin rises? Well, it is simple since all cryptocoins are connected to Bitcoin. This leads to the fact, that if Bitcoin rises, then also the value of any altcoin will rise because all altcoins can be traded for BTC. If the statement above would be wrong, then the price of each altcoin would grow with the increase of bitcoin, and vice verse. This would lead to an extream and unrealistic growth of the altcoins. What does your knowledge mean? We buy 10 Eth for 1 BTC. BTC increase of 5% after trading ETH/BTC. ETH/BTC price declines for 5%. At first, the value of our investment is: 10*1*800 = 8000 USD. This leads to a total decline of 1- 7980/8000 = 0.25%. Which is probably completely different than what one would have expected! For each %-decline, you need a higher %-increase. You can’t simply calculate your profit/loss by just monitoring the altcoin. You need to take the BTC/USD into consideration. We were not tracking the bot and his automated trades over Christmas. So let us see, what he has done. 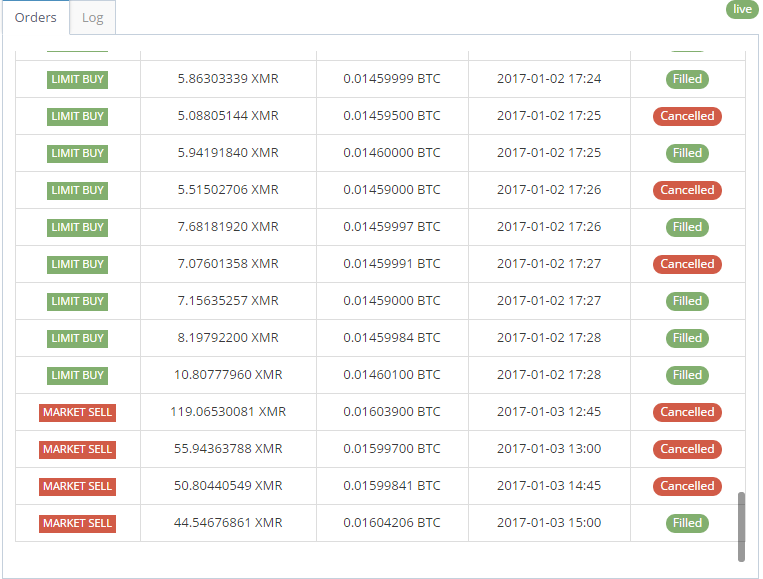 Bought XMR – currently having a nice profit, position still not closed! Summary: It seems obvious that this cryptotrader bot does not have ‘short’ trading enabled. Which is of course a pity, since the coin market besides BTC was falling. Okay, from now we should be keeping this more frequently updated since all the holidays are over! Day 11 to 17 represent the time from the 27th of December to the 2nd of January 2017! There was a good XMR buy for about 0.01114500 BTC per XMR on the 26th. On the 27th the XMR price had risen to 0.01310000 BTC. Which was an increase of 15%. Though sadly the cryptotrader-bot had sold it for 0.01141500 BTC just hours before the spike. Also, two more XMR sell orders have been executed. While one of them having a 0.2 BTC profit! There were also two fast ETH-Trades, which ended yielding good 10% of profit. So maybe the curse of 80% losing positions has ended? Let us hope. Summary: What we like about the bot is, that it cuts the losses pretty fast. Maximum loss being 0.05 BTC. So even if there are more losing positions than winning, the cryptotrader bot has currently made profit! Our conclusion of this is, that the bot doesn’t have a very ‘smart’ closing logic, just a 5% of the starting capital threshold. In our case it was 1 BTC, this is why nearly every position is closed with a 0.05 BTC loss. Day 18 = 3.1.2017. 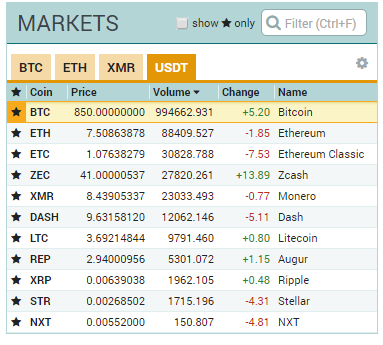 We got a new big winning position, XMR! Also, we have learned how to easily find out our gains/losses, because as stated in day 1 & 2, it wasn’t easy – at least until now! Cancelled orders – We need to clean up the data before we can analyze it over Excel. 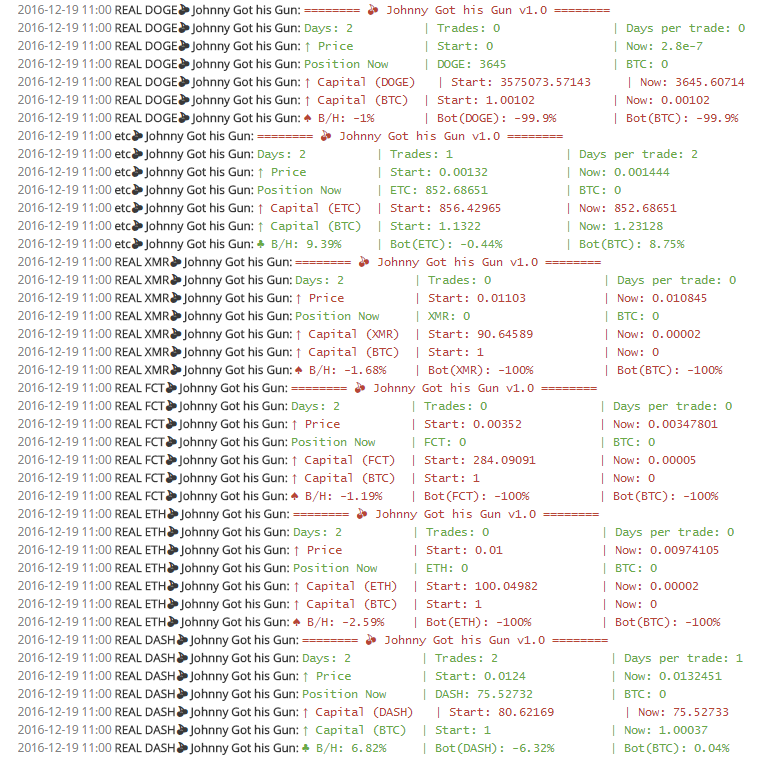 Lots and lots of filled orders – Since Thanasis Bot ‘? Johnny Got his Gun (ALL PAIRS)’ is using the so called iceberg model. Which is just splitting all the buy orders in small parts, so we don’t get an unlucky ‘bad’ price. This makes us each time get lots of data which we need to make averages for etc. So as you can see, we just need to state the COIN and the DATE of the trades and we get all the needed information in seconds! In this case Profit/Loss: +0.16857419 BTC (fees included!). Good job to us finding this, to Poloniex for providing this tool and to the bot for making this trade! 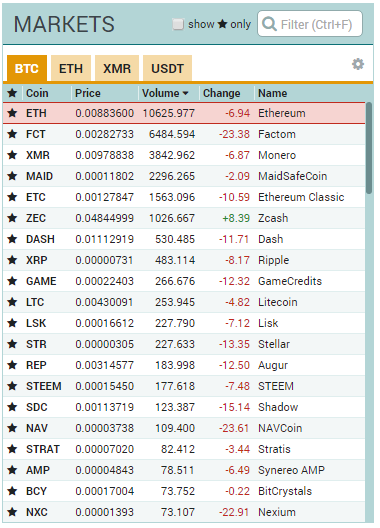 Just one day after buying FCT (Factom) the Cryptotrader Bot has decided to close down the position. And luckily for us with a 0.11877754 BTC profit! This whole Cryptotrader-review starts to be way too positive, but what shall we say, we didn’t expect this either. So let us hope the bot will continue this great winning streak since Bitcoin fell from 1150USD to 850USD. Over the weekend the cloud bot has not traded that greatly. A total of 0.07 BTC loss. Well, we see this as something that should not stress us too much, since we are still more than 0.2 BTC in plus. Also, we changed the settings in the bot, so he can trade a maximum of 1 BTC each position. Previously it was set to ALL, so the risk/reward has been reduced. Which is something we recommend everyone doing. This would be also true for the XMR buy-order on the 8.1.2017 14:00. The XMR position got closed on minus. Though the position was long time in plus. This leads us to our first lessons learned – which we again didn’t follow: To not relay 100% on the cryptotrader bot. Bot has also opened a new FCT position, which we feel was a good call since the price dropped a lot. Some positions got traded. Nothing too spectacular to note. Subscription going to an end, what should we do? Test it again? Test a different cryptotrader strategy? Or even a complete different website? Last day (31 trading day) = 17.01.2017: We have now come to an end. Profit based on the automated cryptocurrency trades made by the rented CryptoTrader bot! Hint: % and real amount are mainly that different, because the bot made smaller positions with the losses at first. And bigger positions with the gains. Because of the third lesson learned (see below), we know that our calculation is not 100% correct if we base our profit in example USD. Meaning, that our portfolio value is not raising by the percent showed above. This is why we wanted to showcase the increase of BTC to USD since day 1. Though you should not forget, that you can not just add those two numbers to see the USD increase of portfolio value. Don’t trust the bot to do everything 100% correctly! You can close a winning/losing position on your own, don’t need to wait for the bot to do this. If a trade is currently looking very good, or very bad – reduce the position! You can take small profits/losses without closing the whole position. This can reduce the risk to lose the profit or in the other case, to lose even more. If the price of BTC rises, then most altcoins will fall. Need to take this into consideration when calculation profits and loss, and also when deciding to buy/sell an altcoin. Bot is closing each position when the loss is about 5% of the starting capital (in our case 1 BTC). So maybe stop the bot if you want to close this manually. So our 1-month rent of Thanasis’ Bot? Johnny Got his Gun (ALL PAIRS) has expired! So let us just start by saying it was a lot of fun mixed with an emotional rollercoaster and a lot of lessons learned! End of the day, we made a trading profit of 0.22324315 BTC. If we subtract the cost of the strategy 40 USD and the fee to use the cryptotrader-platform of 0.009 BTC we come to the final result of about 0.18 BTC PROFIT! This is a portfolio increase of about 10% – since we actually had some coins lent on the exchange (which we transferred to our trading account). Are we happy with our CryptoTrader Test Results? This is something we totally didn’t expect. This is why we are currently thinking which strategy and/or platform to test out next! If you want to see something in particular, just suggest it in the comment section below! Though one should not forget, that the 10% we – or better said the bot – achieved are not guaranteed to be achieved the next month. What will we do the in our next cryptocurrency bot trading text better? This is a legit question. We made a lot of mistakes and miscalculations – as you probably know if you read all the article or at least our “lessons learned”. For sure we could have limited our losses or increased our gains if we had manually closed the trading positions. This is something we will try to do in our next test! The Blade Runner Bot is created by Thanasis. We were very disappointed in comparison to the ‘Johny’ strategy. Click on the link or picture to find out more! When will your next test start? I’ve been contemplating of making a Trading Bot myself which I think will yield an excellent result on Auto Pilot, i.e. once hooked up and activated will continuously give you a fortune. 24/7. But the problem though is I don’t know programming and I don’t have money to pay somebody to make me one. If interested I would be willing to discuss further the details by messaging me first Ref; PTB24/7 before calling here +966561402072. Hey there! We are just starting to write a review about CryptoTrader – a platform about automated cryptocurrency trading. And before we make ourselves many mistakes and waste money, we decided to ask you for help. Do you have any experiences with the platform or tips & tricks? Can you recommend us any strategy? Or do you have a strategy you want us to test? You can reach us best here over the comment section Let us figure out this bot platform together! Crypto trader rented bot did not connect to exchange apis and the WILL NOT offer a refund – be warned lost 100 USD and they will not offer help! Hey, sorry to hear this. Which bot did you use? commissions are too high to attrack new clients , Also there is no way to “earn” btc stake first , lots of people are nervous about sending people btc. and NOT getting the credit for it and end up losing their money “Crypto Trading” does not offer anything like this. I’ve tried out some of the free bots available on the site, but hadn’t had much luck with them might have to try out this one for a month to see how I go . Also for some reason on your site there is a weird image which is blocking some of the comments, you might want to get that fixed. The image for andrea van de kleut-stamm is oversized and partially blocking the corresponding comment when viewing this page on a Mac using Safari, Chrome or Firefox. Thank you for the info. Please clarify for me how do I go about to register for trading and what the minimum amount? Thanks for listing down the steps in a detailed manner. Could you please elaborate on the concept of breaking even? It’s always a pleasure to help. Break even (or breaking even) means, that you have reached a point where your losses are zero. From this point on you are going to make profit. how much can i start with both for the platinum subscription and the deposit for the trading.? if i invest $5000, what are the likely return in a month? Nobody can tell you what will happen in the future. You can only see what happened in the past. These Backtests showcase what returns have been made. So I suggest you to do multiple backtests for different cryptocurrency pairs and periods. And see what strategies + cryptocurrency works best. I think you should next test the PLB Unlimited Strategy since it is the most popular. Sometimes you get what you pay for. 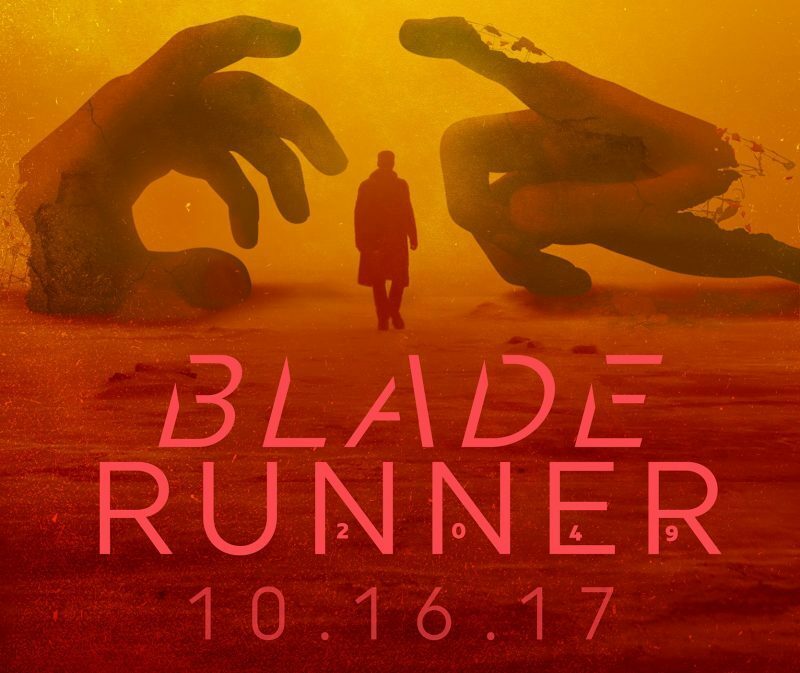 Sure, we will start monitoring the Blade Runner asap! Thank you Philip. What about cloud mining? I read your article on that, I saw the best being Hashflare’s ETH mining, which was indeed something I would look for, but I visited their website, they offer ETH cloud mining for reasonable money and without fees, the problem is, that it’s a 1-year contract. With 461 days to ROI? Or it works in a different way and I’m just not getting it? hi!,I really like your writing so a lot! proportion we communicate extra about your article on AOL? I require a specialist in this house to resolve my problem. Maybe that’s you! Taking a look ahead to look you. Great post, really enjoyed your insight!